Next Saturday we are excited to welcome back Stephen Fredericks, founding member of the New York Society of Etchers for a 1:30 talk. Stephen has developed an audio-visual presentation called “Birth of the American Artist Printmaker,” which grew out of his book on the New York Etching Club (published 2009 by Rice University Press, details at the link). Stephen’s talk covers a period of American artist activity – primarily etching – that accompanied a broader graphic arts movement during the last quarter of the 19th Century, and the underlying significance of this era defined by a national graphic arts, and etching boom – which gave birth to American artist printmaking as we know it today. The slideshow Stephen compiled includes early ‘artist etchings’ made by members of the New York Etching Club, their applications in fine press books, early portfolios, and in exhibitions – followed by images of more commercially refined decorative art books, auction catalogues and limited editions by important publishers of the day. Again, this lecture/discussion begins at 1:30 pm on Saturday, January 28th (next Saturday). A closing reception for the show immediately follows Stephen’s talk. We hope you will be able to join us! Wow! We hope you can come to our opening on Saturday (or Stephen Frederick’s lecture on January 28) to see all of the great work in this exhibition. Not all of the work in the show is included in the slideshow below–you have to come in to see it!–but you can get a pretty good idea of the caliber here. 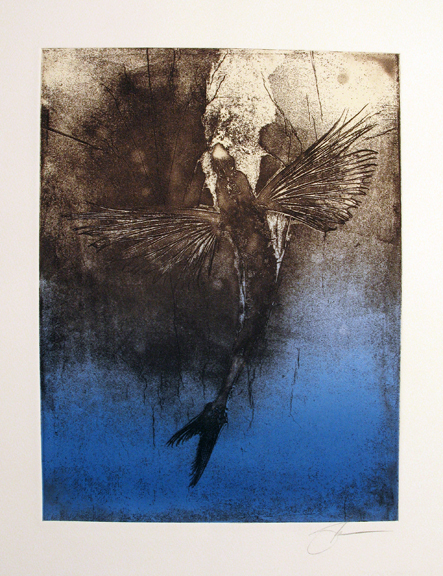 Bonus: The last few images are from the members’ January exhibition. The following is an excerpt from an article in our Winter Newsletter, which you can see in its entirety at the link above. 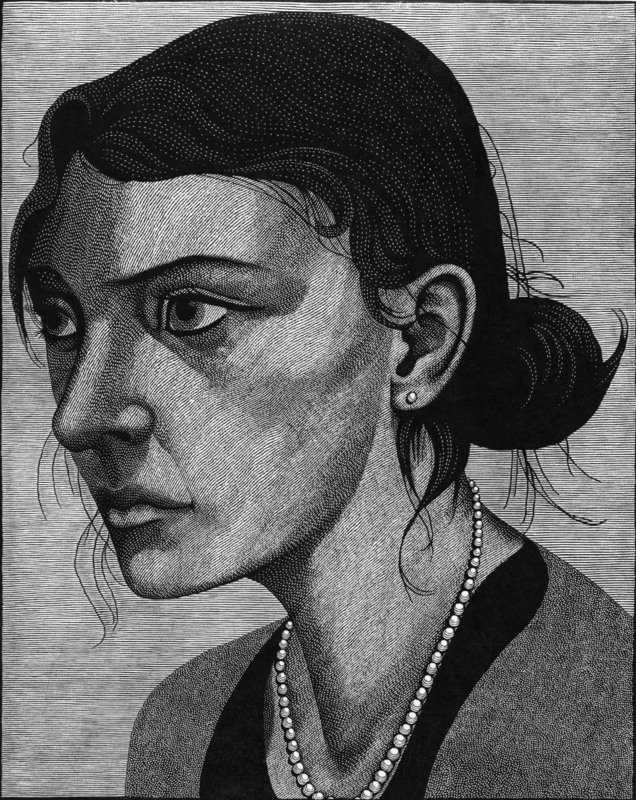 The 2012 Invitational follows ‘Bewick’s Legacy: Six Contemporary British Wood Engravers’ as a second group invitational, which this time will show approximately forty prints by ten artists, all directors of the NY Society of Etchers. The prints of the NYSE will include a wide variety of stylistic approaches, from straight line etching to heavily scraped and re-worked plates, from improvisational and free handwork to more carefully planned images. Viewers visiting the exhibition will see both figurative and abstract images as well as prints that celebrate process, explore narrative subjects, or pursue conceptual approaches. 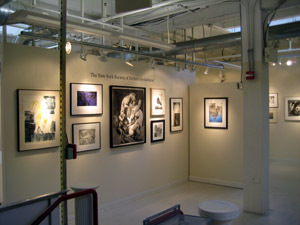 As a group of exhibiting artists, the NYSE began its formal exhibition program in 2000, creating and collaborating in 20 exhibitions of artist prints. 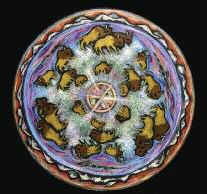 Eight of these efforts have focused exclusively on the graphic arts of local emerging artists and not-for-profit workshops; thirteen of the shows have had international influences with collaborating artists from Hungary, China, France, Ireland, Peru, the Ukraine and Australia. The remaining seven exhibitions have been organized on behalf of cultural institutions in Bridgeport, CT, the Ukrainian Institute of America and the Paramount Center of the Arts in Peekskill, NY. So far, ten exhibitions have been documented with professionally published catalogues. The NY Society of Etchers Invitational will be on view January 4-28, with an opening reception on Saturday, January 7 and a talk by Stephen Fredericks followed by a closing reception on Saturday, January 28, at 1:30 pm. 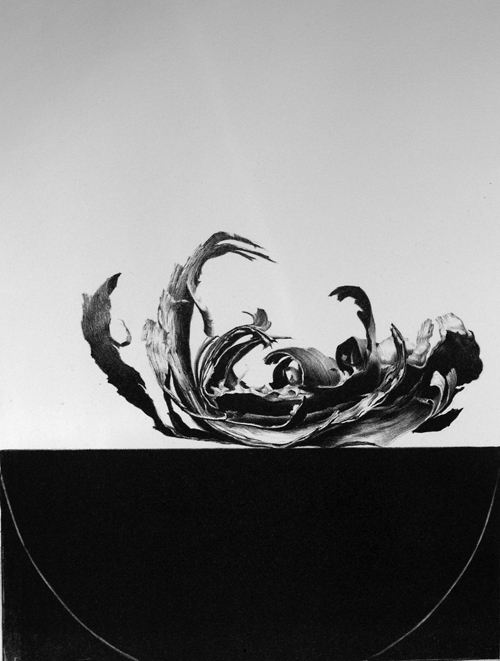 Below is a slideshow of work by Martha Oatway, Tracy Hill, and the New York Society of Etchers. Martha and Tracy’s show, Field of Vision, opens next week. This exhibition pushes past the usual print-on-paper-in-frame to include large, free-floating prints by Tracy that hang down into the gallery from the ceiling, prints on plexi by Martha, and a sound installation in the Press Room. The opening reception is Saturday, December 3, 1-4 pm. We’re especially delighted to have Tracy joining us all the way from Preston, England! The last few images of the above slide show are be several members of the New York Society of Etchers, who are WPG’s January Invitational artists. NYSE was formed in 1998, in the spirit of a preceding group known as the New York Etchers Club (founded in 1877). 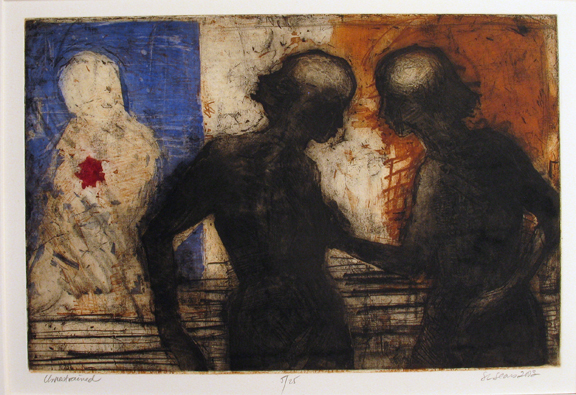 Today’s New York Society of Etchers focuses on providing exhibition opportunities to intaglio printmaking specialists in New York City, and is internationally recognized as an artist-run print organization with dozens of major exhibitions. Currently, there are close to 300 New York printmakers associated with the society (ten of which will be exhibiting here). The opening for this exhibition is Saturday, January 7 1-4 pm. 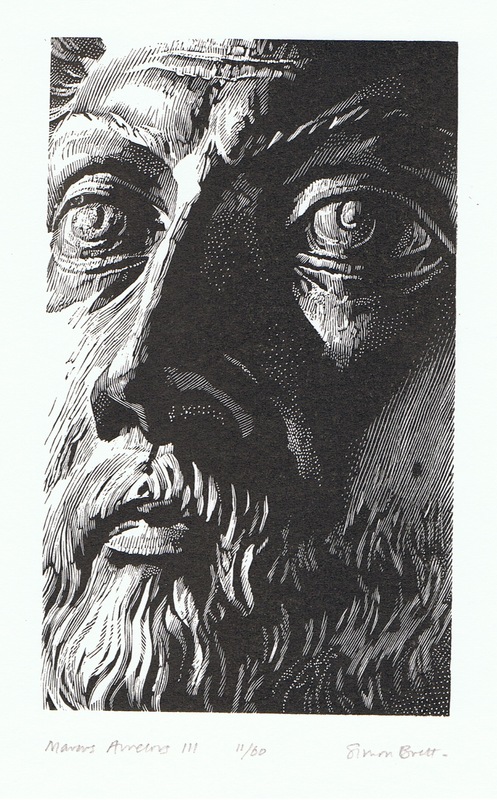 Marcus Aurelius III, Wood Engraving by Simon Brett, on view through tomorrow! We’re back and fully functioning! A sincere apology to all who tried to get in contact with us–it’s been quite a week! First, our website host company was migrating data, which meant our email/website were intermittently effected. Second, the winter storm knocked out power in the area. While the gallery’s power was restored quickly, the power to Comcast’s main transmission site for Montgomery County was not–meaning we were without phone or internet for a few days. But now our sidewalks are clear and the gallery is open–and just in time, too. If you haven’t seen it yet, don’t miss Bewick’s Legacy: Six Contemporary British Wood Engravers. We have sold a staggering 32 prints from this show as well as some of the beautiful wood engraving books we have on view exclusively in the gallery. We are open until 5 pm today and 12-5 tomorrow, so hurry in! 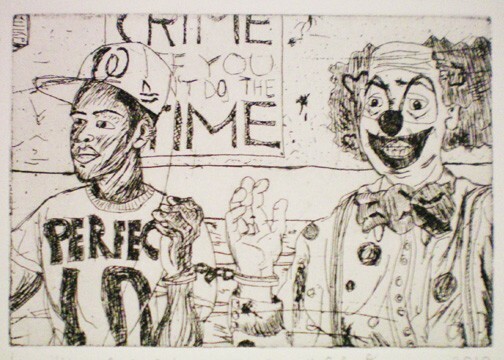 "Never Again, Rodney, Never" by Eric Owusu, Intaglio,11x14, 2009. 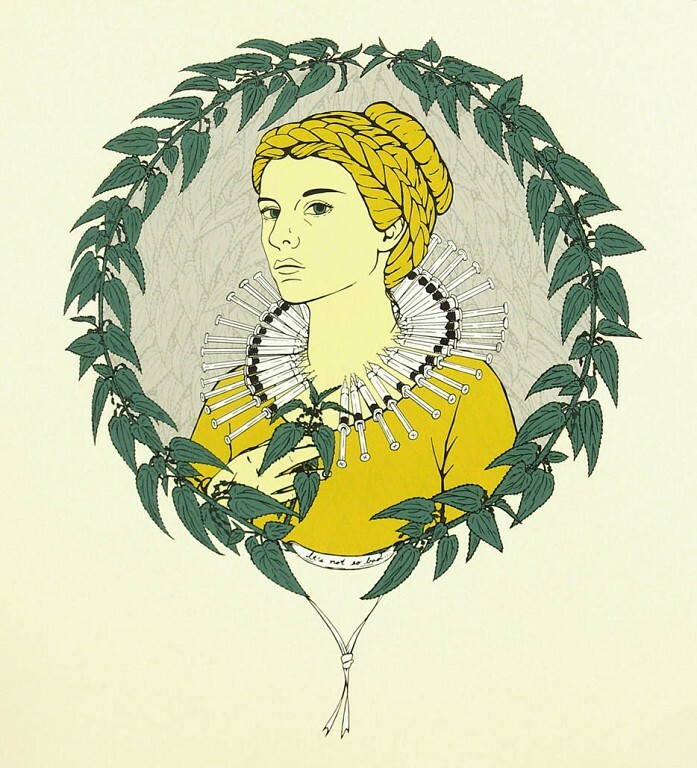 "So Bad" by Tonja Torgerson, serigraph, 22x20 in, 2009. 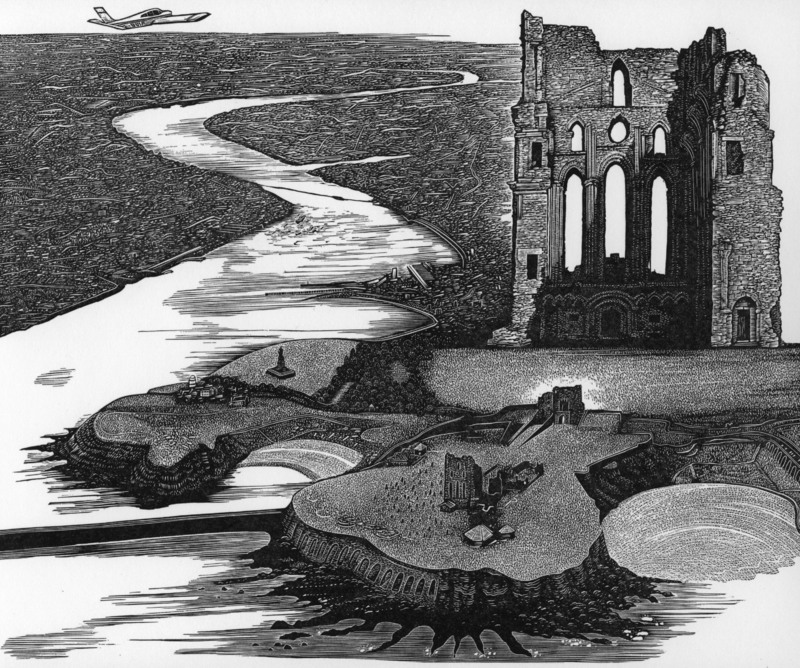 "Tynemouth Priory" by Hilary Paynter, this could be a great starting print for an art collection! I wanted to write a little bit about collecting art, since we have a limited offering of some very well known and talented printmakers in our current show, Bewick’s Legacy. These are personal thoughts from a gallery director to be taken as such, I do not profess to be an investment specialist or predictor of future trends in the art market! Starting an art collection is a beneficial experience for so many reasons–it is a wonderful way to support the fine arts, many people collect as part of their investment strategy, and of course, you increase the aesthetics of your home or office! Also, starting an art collection can be done by anyone on any budget and at any age! Prints, of course, are a great way to start an art collection because you can buy beautiful, original artwork for much less than many similarly sized paintings or sculpture. When starting an art collection, the number one most important thing to do is buy art you like! DON’T buy work because it is by a big-shot artist, DON’T buy work to impress other people, and DON’T buy work because you think you’ll be able to sell it in a year or two for more. You want to buy pieces that you can live with and enjoy. If visitors to your home or office compliment the work or the work happens to appreciate in value, then that should just be an added bonus. That being said, there are some things to look for when you are starting or adding to your collection. The work should be of high technical quality (unless of course shotty construction is part of the concept of the piece, but that’s a whole different conversation!) Make sure that canvasses have squared corners and don’t raise unevenly off the wall. Works on paper should be clean of finger prints, errant ink blots, etc. If you are buying framed pieces, the frame corners should be square and the mats clean, as well. Also, see if the artist and artwork matches your collection ideology. If you are collecting artwork simply because it is pretty, then go right ahead and buy it, no extra thought needed! However, if you are trying to create a more specific collection (say, contemporary female artists, regional printmakers, or artworks with roots in Cubism), then you need to do a little more research. This can be as easy as asking the gallery assistant or looking on the artist’s website for an artist statement and resume. When you do buy a work, ask for the CV (resume) 0f that artist and keep it in a file with your receipt, so you have documentation to back up your art collection. In closing, I invite you to take a moment and think about what kind of art YOU like, what kind of space you have on your walls, and what you might want to do with that upcoming tax refund check. Who knows, in 10 years you could become the premier private collector of artist depictions of Florence (a beautiful subject artists of many media seem to be drawn to), or maybe the National Gallery of Art will want your collection of contemporary botanical prints. 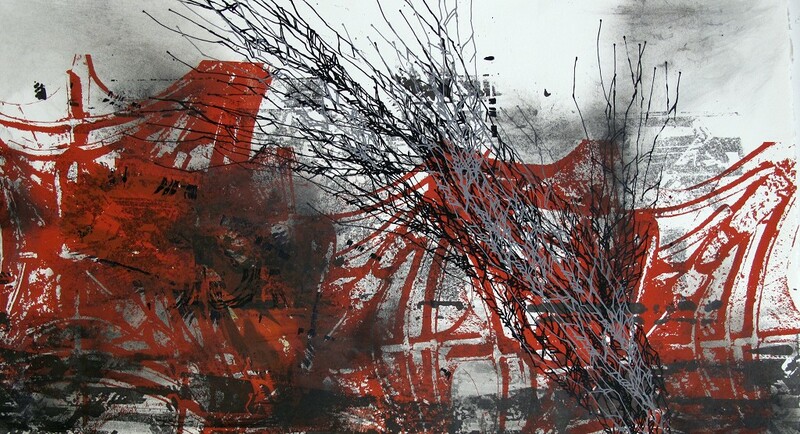 The opportunities only multiply with your first purchase of artwork!